Simply said, we take care of all the inside parts of your pet. As veterinary internal medicine specialists, we work with the internal body systems of dogs and cats, whether there are sudden or chronic signs, and regardless of the cause of infection (cancer, degenerative, inflammatory, immune, or trauma). The specialty of internal medicine emphasizes non-invasive testing (diagnostic) and treatment techniques. Our strengths are specialty medical treatment and comprehensive care, devoted to your pet’s overall health! What Is a Veterinary INTERNIST? All doctors at Southern Colorado Veterinary Internal Medicine are board certified. So, what exactly is a veterinary internist? A veterinary internist is a veterinarian with advanced training in the area of veterinary internal medicine. 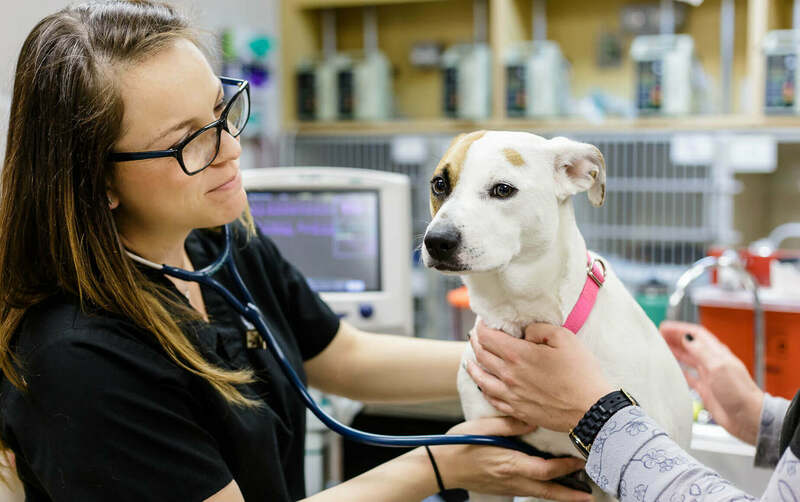 To become board-certified veterinary internal medicine specialists, our doctors completed an additional four years of training following graduation from a four-year veterinary school. The first year of advanced training is called an internship, and the next three years are called a residency. During this time, the veterinarians are trained by other board-certified specialists in the intricacies of internal medicine. At the completion of their residency, they became classified as “residency trained”, but were not yet board-certified. In order to become board-certified in veterinary internal medicine, each doctor submitted their credentials in addition to having an original article published in a peer-review journal. After their credentials were accepted, they sat for an intense 8-hour qualifying exam. After passing the qualifying exam, the Veterinarian became eligible to take the certifying examination. This exam is given over a two-day period and involves essay questions, a practical examination, and multiple choice and short answer portions. Only after successful completion of this exam is a veterinarian declared a board-certified specialist in veterinary internal medicine by the American College of Veterinary Internal Medicine. To meet our veterinary internal medicine specialists, click HERE.